If you’re looking to expand your business or start up a completely new one, you will definitely need to write a comprehensive business proposal. Failing to write a detailed yet effective business proposal can lead to missed opportunities for your business. A well written business proposal demonstrates that careful thought has been given to the business expansion and shows that the entrepreneur has done his/her homework. Remember, regardless of the great idea in your mind, if your proposal does not reflect it properly, you are not going to make any headway. So, after your research and planning, the writing of a business proposal should be your top priority. If you are wondering how you can do that, keep reading this guide. The first thing you need to do before you start writing the business proposal is carrying out a detailed research. It is important to understand the complexity of each and every element within your business. Talking with someone who already has a lot of experience writing business proposals is a great idea. Conduct interviews with customers to better understand your needs so you can shape your business according to their suggestions. - To be clear about your idea and purpose of business. 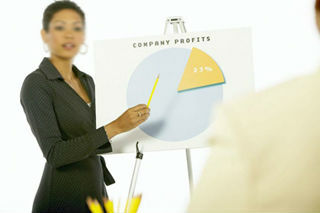 - To analyze the risk factors regarding your business. - To gather information about your competitors. - To conduct SWOT and PEST analysis on your business. - To develop a list of stakeholders. Allocate substantial time for the preparation and writing of the business proposal. Do not go for shortcuts like pre-made templates as they are not going to work for you in the end. It is important that you set a timeline in your mind for the completion of the project. While writing the business proposal, you need to make sure that your clients and investors easily understand the aim of your business and the benefits he/she can avail from it. Do not try too hard to impress your clients, but just clarify the points that may need explanation or elaboration. Make use of statistical tables and graphs. Additionally, add interactive logos and clipart items in your business proposal. Add pictures wherever they are needed, since images help people understand things better compared to text. Mention the funding sources and the budget that you can afford. How much will you be investing in the business and what are your expectations regarding the profit. Mention the use of latest technology equipment and processes in your business. You can add this information in the appendix about the technology you are using and how it works.